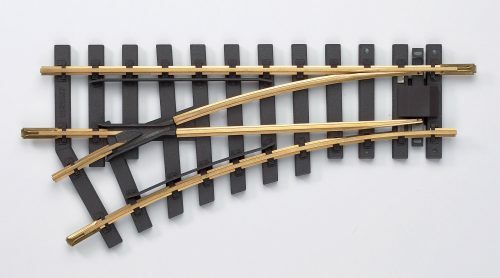 Home/Accessories, Piko, Track/PIKO #35215 R5 Curve brass Track 15° 49″ (1240mm) 1 pc. There are 12 pieces to a box. Center Line Radius = 48.94”/15°. Piko track is compatible with other brass track i.e. LGB or Aristo track, which makes expanding track unending!